Exa® Ortho | Konica Minolta Healthcare Americas, Inc.
View Orthopedic Images from anywhere, securely and quickly with Exa ORTHO. 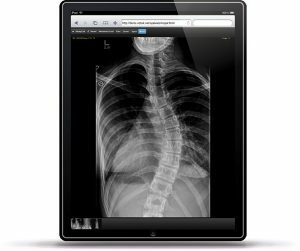 Exa’s Zero Footprint Viewing and Server Side Rendering makes managing orthopedic imaging fast and easy. Exa ORTHO offers the same advanced core functionality as the Exa Platform with added specialized tools specifically designed for orthopedics. Specialized orthopedic functionality includes measurement tools, templating, and pre-operative planning accessible from any web-enabled device.